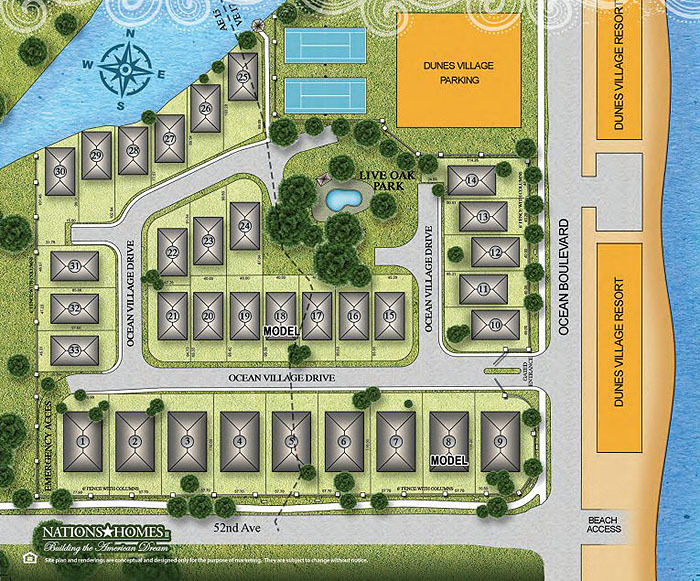 Located on "The Golden Mile" at 52nd Ave North, the most coveted beach-side area on the north end of Myrtle Beach, Nations Home Builders are developing a fabulous gated community just across from the ocean. There will be 33 homes built in "cottage style", ranging from 1700 to 4000 square feet, with front and back porches, metal roofs, and several floorplans to choose from. 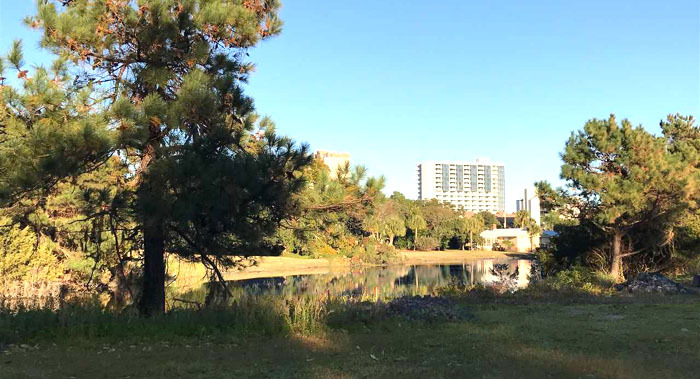 This beautiful community has mature live oaks and magnolia trees offering shade and beauty, as well as a private park with swings, benches, a gazebo, and fishing pond with dock. A community pool will make residents feel like they are living in paradise. An extra plus is the privilege of using the tennis courts at Dunes Village just down the boulevard. Prices start in the low $400,000's. As of January 2016, Ocean Village is selling in the pre-construction stages. We will update this page as homes begin to be built and more information is available. If you are interested in these exclusive new homes, let us represent your interests to the builders. We can often negotiate extras and you always need your own buyer's agent when having a home built for you. Call us and get on a list to be updated about the homes in Ocean Village.